On August 14th, 1936, Kansas City’s temperature hit 113 degrees, the hottest ever recorded here. For 53 days that summer, highs topped 100 degrees. But now it was November 2nd, a Monday. The next day, Franklin Roosevelt would be elected to his second term as president, over Kansas governor Alf Landon. 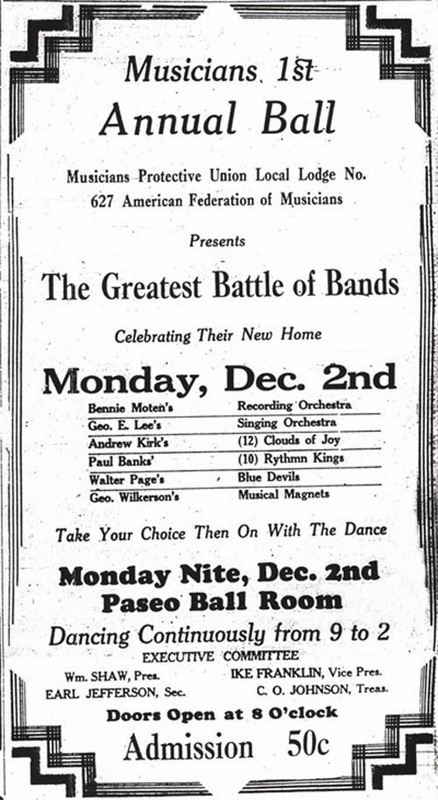 This night, Count Basie and His Barons of Rhythm were leaving Kansas City. They opened for Duke Ellington, but couldn’t stay. When their set ended, the musicians boarded a bus waiting for them on the street. Their suitcases were already on board. They were heading first to Chicago, then east. But before the bus left, Ellington walked out the doors to wish Basie his best. It happened right here. They performed in this building. The bus was likely waiting on this street. Ellington walked out right here. Today the address is 1414 Truman Road. Moten’s band would play there Thursdays and Sundays. 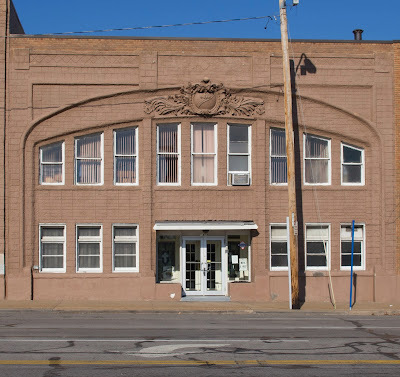 Often, when well known bands from the east would come through segregated Kansas City, they played the Pla-Mor or El Torreon ballroom for white audiences. 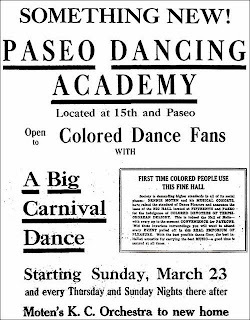 Then, on Monday night, they would play Paseo Hall for black audiences. “That Kansas City’s music and dance lovers are glad Bennie Moten and his orchestra are back was vividly illustrated Wednesday night when 1700 people crowded into Paseo hall to hear and see what they boys had brought back in the way of syncopation, after their nine months absence. Apparently, from the reception given the orchestra, the boys brought back plenty. “The same 10 men who left with Bennie last year showed their pleasure in being back again by rendering the latest music with such an improvement in style that encore after encore was necessary to satisfy the huge crowd…. “When ‘Tiny’ Taylor, Woody Walder, and Leroy ‘Buck’ Berry featured Mississippi Mud it became clear why Moten’s orchestra played in some of the best places in the East while they were away. “Well, who wouldn’t go to a dance when six good orchestras are going to play and the dancing will be continuous from early in the evening until early in the morning? That’s the way about 2200 people looked at it Monday night when the Musicians Union, Local 627, gave its first annual ball at Paseo hall. “The crowd did everything but hang on the ceiling. The lobby was jammed; the dance floor was jammed; the seats along the wall were jammed; and the balcony was groaning from too much population. And maybe you think those six orchestras didn’t play with that sort of crowd for inspiration! 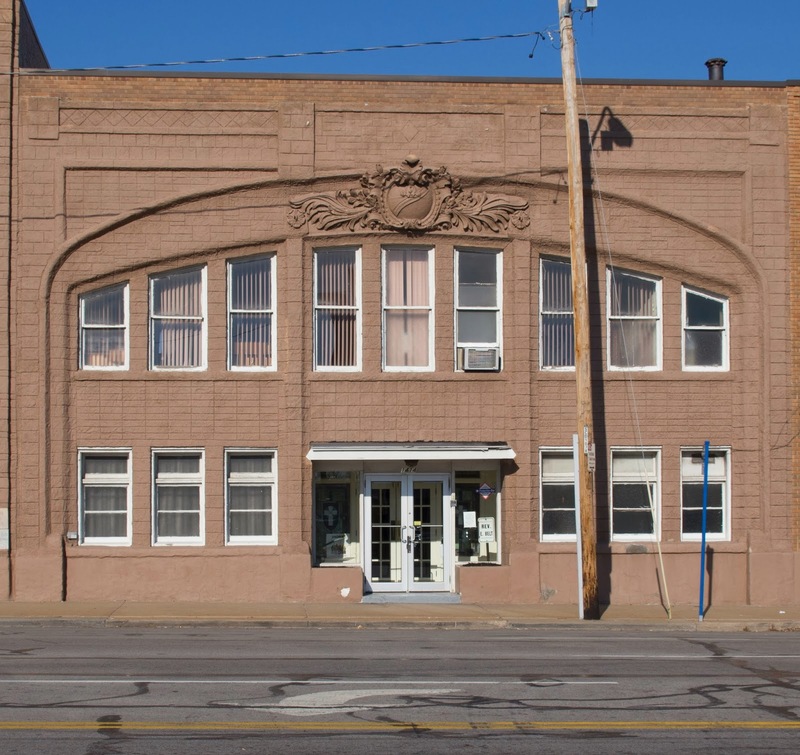 There were more varieties of melody, rhythm, blues, and stomp music than the old dance palace has heard in a long time. “George Lee and his novelty singing Brunswick orchestra got the crowd in a good humor with a flawless performance. Paul Banks’ nattily attired Rhythm Aces followed in a way that made everybody happy. Andy Kirk’s 12 Clouds of Joy came next with a burst of joy that made the hall rock. Bennie Moten’s Victor recording orchestra made its large following happy with the type of music which has made it widely famous and Bennie himself got out of bed to fill this engagement. And George Wilkerson and his Musical Magnets bore up the tradition and got hot in the approved manner. 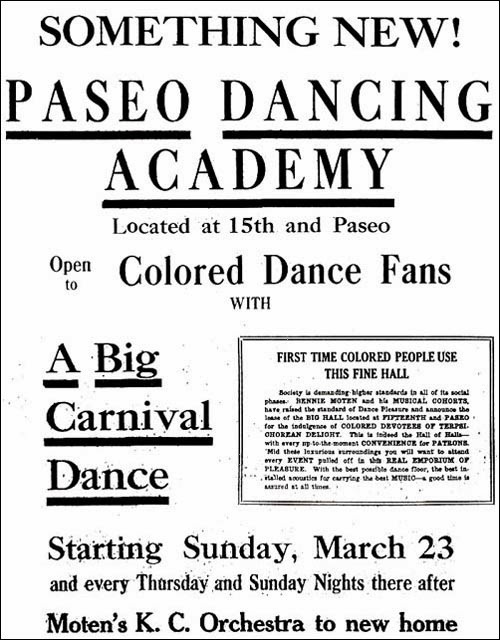 Paseo Hall changed ownership in 1933 and on July 1st was renamed The Harlem Night Club. But the newly renamed hall was restricted to White patrons only. Early in 1933, the Eblon Theater at 1822 Vine Street had been converted into the Cherry Blossom club. Black audiences turned there. Next week: Paseo Hall on the night Basie left, and today.